Serving as the predominant site for food digestion and nutrition absorption, the gastrointestinal tract separates the inner environment of the human body from the outer environment by epithelial barrier. The highly selective barrier favors fluxes of nutrients but limits host contact with the massive intraluminal load of dietary antigens and microbes. Under normal physiological conditions, controllable small amounts of food-derived antigens and microorganisms transport through the barrier with proper processing, inducting a homeostatic immune response and resulting in immune tolerance to dietary antigens. Conversely, primary or secondary intestinal barrier defects can lead to excessive entrance of lumen macromolecules, contributing to the pathogenesis of a wide range of human diseases including food allergy and inflammatory bowel disease (IBD). 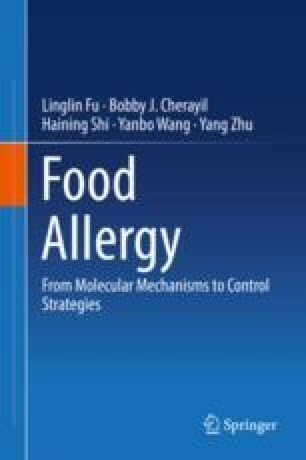 Consequently, the intestinal barrier dysfunction could be a promising target for treating food allergy; however, limited mechanical researches and practical applications are available nowadays, and far more investigations are required for reliable clinical practices.